Recent research in neuroscience tells us what we had thought impossible is now possible. Early traumatic implicit (non-verbal bodily held) learning – the kind of learning that drives most forms of psychological distress, can actually be erased without touching the explicit (verbal – story) memory it was associated with. First let’s take a look at what this means. These kinds of “beliefs,” or “scripts” can drive large areas of life. They are usually laid down due to early (as in childhood) repetitive emotionally charged or even traumatic experiences and so tend to be immune to logical questions or arguments. This is because they are actually held in the body and nervous system rather than in the “thinking brain” and are faster and more automatic than logical thinking because they were originally somehow tied in to perceptions around survival (the messages may have originally been communicated by needed childhood caregivers, for example). Since most forms of psychotherapy are verbal, we have believed up until now that the only way to cope with this kind of dysfunctional learning was to challenge the logic of such beliefs and set up competing neural pathways that would eventually, through a great deal of practice, become available as the “preferred” neural pathway. This is the foundation of much of cognitive and behavioural psychology. 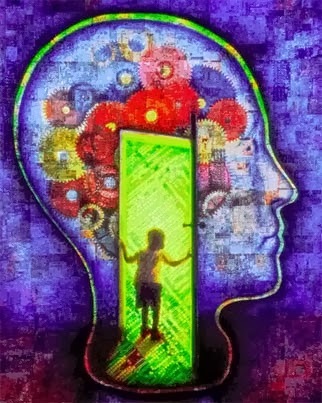 Nevertheless, competing new beliefs learned logically in adulthood can never completely replace implicitly held beliefs laid down and reinforced in childhood, and so relapse must be constantly guarded against, especially when something associated with the earlier learning reappears in the current environment (e.g. a boss or spouse implying the same message). The most common way set up competing beliefs is via Cognitive Behavioural Therapy, whereby the dysfunctional beliefs are deliberately challenged with new thoughts and learnings which are then rehearsed in new behaviours repeatedly until the old beliefs lose their original power. Psychoanalytic or psychodynamic interpersonal therapies also challenge old implicit learning via the therapeutic relationship itself, whereby repetitive experiences of (hopefully!) non-exploitive, consistent, secure attachment with the therapist replace the old beliefs that were based on exploitive, inconsistent, insecure early attachments. Each of these steps correspond precisely to phases 4 through 7 desensitisation stage of the standard 8 phase EMDR protocol, even though EMDR was developed 20 years prior to the current confirming discoveries in neuroscience. My main concern here is that this “new” approach, if applied systematically, will probably have similar limitations and cause similar results to those that have emerged from years of research and practice in EMDR. It will seem miraculous when applied to dysfunctional learning caused by a single –incident trauma; but it won’t be so simple when dealing with the many ego states that develop in response to repeated developmental trauma and dysfunctional implicit learning. When ego states are split off by trauma, they are sometimes unable to “share” information from one state to another. This is what enables many survivors to function at a much higher level than they might otherwise if the full impact of the traumas were experienced by all parts of self equally. This also means that it is essential, when applying the above steps, to make sure that the ego states that hold the implicit dysfunctional learning are the same ego states that are exposed to the disconfirmation of that learning. I think we will find, as we did with EMDR, that more complex forms of traumatic implicit learning are most effectively addressed with a combination of trauma processing (or Implicit memory “erasure”), somatic mindfulness, and ego state work. Yes, I developed an approach called PSI - Psychosomatic Integration, which incorporates aspects of Lifespan Integration combined with the DNMS, another form of ego state work, and Sensorimotor Psychotherapy. For more information about PSI, go here; http://psychotherapist.org/psi-institute.html#WhatisPSI? Judy Lightstone. Simple theme. Powered by Blogger.